Power Yoga has been growing in popularity recently, especially in Western countries. However, there are still many individuals who are confused as to what the practice actually revolves around. The term first came about during the 1990s period. Ever since, it has evolved quite a lot. Some practice it outdoors, while others prefer it to be in a heated indoor room. Even for the teaching wise, it is not exactly standardised. There are teachers who tend to stick with the same series of poses, yet there are others who change it up every class. Hence, a good way of knowing what to expect in a Power Yoga class is to talk to the teacher in charge to understand what their class includes before signing up for it. Nonetheless, apart from the differences there are, there are still a few similarities throughout the majority of Power Yoga classes. Here are four of the things that you should know about Power Yoga before deciding on your choice. Firstly, Power Yoga is considered to be a sub under Ashtanga Yoga. Its roots were derived from that of Ashtanga Yoga and it definitely takes its cues from the practice of Ashtanga Yoga too. Secondly, Power Yoga is considered to be a fast paced and intensive workout. You will surely break more than just a sweat by the end of the routine. Also, be prepared for an even faster rhythm than Ashtanga Yoga. The transition from one pose to another might feel like it is taking forever, but in actual fact, the movement is just like a flow. This differs from Ashtanga Yoga as Ashtanga Yoga allows you to hold a pose for five breaths before moving on to the next. Thirdly, Power Yoga is a good form of strength training. Yoga is normally viewed as an exercise for flexibility and meditation. However, Power Yoga differs in this sense because it requires one to constantly lift their body up and support their entire weight. Yes, it is physically demanding too and will definitely get your entire body into gear. You can expect your arms to feel the burn by the end of the workout. Lastly, Power Yoga makes you feel more energetic at the end of the session. Other forms of yoga will usually leave you feeling relaxed at the end, making you feel like taking a bath and a nap. On the other hand, Power Yoga allows you to feel calm and active after the practice. You will be more prepared to tackle the rest of the day after that. Looking for Power Yoga classes in Singapore? 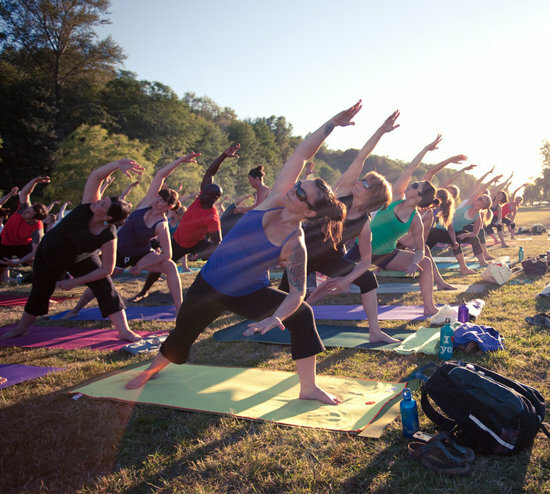 Check out what OMG Yoga has to offer! Yes, we conduct private yoga classes at the convenience of your own home. This allows you to receive full attention from the instructor, so that they will be able to assist and correct your postures. This means that you will have more fulfilling sessions each time. For more information, remember to check out our website!